As I posted at YouTube, Gov. Sarah Palin did not intrude or push her way into this movement…it found her. She had an idea and wanted a video made. So, I gave it the old college try (ahem, that would be NCSU, by the way). I hope this gives you some inspiration. Please feel free to forward or embed elsewhere to spread the word! School started last Thursday for students, but teachers returned two days prior. News travels fast, so I came back to some teachers who, without hearing it from me, knew that I spent half my summer in Alaska. Others, whom I also had not spoken to myself, are aware now of my pro-Governor Palin efforts. I was greeted by a couple benign comments such as, “So I hear you’ve gotten involved politically” and “How was Alaska?” But then there was the comment that tickled me, though it really is more sad than funny. As I was walking down the hall, my co-worker called to me. We met half-way, with her looking around rather sheepishly. Totally out of the blue, she whispered, “I love Sarah, too.” This immediately made me smile, and almost made me happy to be back to work–almost! I held up both hands, and we high-fived. She added, “It’s a shame that I feel that I have to say that quietly around here.” I responded, “Don’t be quiet. Say it out loud!” My excitement and intensity, however, did not elicit a rise in boldness on her part. Instead, she remained a bit uncomfortable with her “confession.” She clearly wanted to keep her support of Governor Palin on the “down-low” but said, “I do. I love Sarah.” Her sincerity, albeit undercover, was obvious. I do, however, take issue with that kind of sincerity. Nonetheless, I walked away wearing a smile, as I always do when I meet another person who recognizes the qualities Governor Palin exemplifies. The smile was followed quickly with a shaking of my head. It baffles me that people feel the need to hush up their support for Governor Palin–which begs the question: Why might my co-worker be hiding her respect for Governor Palin? She mentioned having to hide her support “around here.” Does that mean the particular city in which we live? Maybe it means the state of New York. Although she could have meant either, I think she meant neither. I am inclined to believe that she was referring to the public school setting, a.k.a. Liberal City, USA. No doubt, there are pressures associated with supporting conservatives in the public school setting–and in the state of New York, one might say that’s double pressure. I am well-aware of that. However, I am amazed that the values of a few can cause those with mainstream values to feel like they’re on the fringe, to make them ashamed, and to cause them to hide. Why should any supporter of Governor Palin be anything but proud? The mainstream media has done its job of painting her as some nut job whose beliefs are a detriment to a progressive society, a neanderthal woman who, if she had her way, would set America back a hundred years. They depict Governor Palin as dangerous and completely out of touch. Is this why my co-worker appeared ashamed of her? So how far out of the norm are the governor’s views? Actually, they are not out of the norm at all. In fact, her stand on key issues are in line with those of most Americans. So why hide? Which issue has her whispering her support, rather than shouting it from the rooftops and actively supporting the governor? Is it the abortion issue? This controversial subject has earned Governor Palin a very bad rap, thanks, in part, to Katie Couric whose distaste for the pro-life perspective was manifested in her interview with Governor Palin. However, an article called “More Americans ‘Pro-Life’ Than ‘Pro-Choice’ for First Time” reveals that more and more Americans agree with Governor Palin. The majority of Americans embrace the sanctity of life now. So if this is the cause of my co-worker’s timidity, it’s not a good one, for Sarah’s perspective is the perspective of most Americans. Is it Governor Palin speaking up for lower taxes? Again, most Americans do not want their taxes raised. We want to keep more of our own money so we can spend it in ways that we deem fit. That’s what free people do. That’s what Americans do. Here’s something that should come as no surprise: a new Rasmussen Reports telephone poll shows that 70 percent of Americans prefer lower taxes and smaller government. Not only are those numbers up by 5 percent over last month’s poll, but they also represent the highest numbers reported in almost three years. The poll found that only 19 percent of likely voters “would prefer a government that provides more services in exchange for higher taxes,” the first time this number has dropped below 20 percent. According to the Rasmussen poll, 88 percent of Republican and 78 percent of voters not affiliated with either one of the major political parties favor lower taxes and fewer government services. Surprisingly, 48 percent of Democrats share the same position, while only 34 percent of Democrats favor more government services and higher taxes. I ask again, why the shame for being a supporter of Governor Palin? What’s odd about fighting for lower taxes? If it’s odd, then 70% of Americans who like money in their pockets are also odd. Lately, of course, Governor Palin has been battling President Obama’s Health Care Bill. In so doing, she has captured the ire of the president and his ardent supporters because she refuses to let the issue go and will not take “death panels” back. Is this a reason to hide support of the governor? Is she out there all by herself on her objection to this plan? Once again, Governor Palin is more in touch with Americans than those who seek to demonize her. More Americans oppose health care reform than support it, as backing for President Obama’s hallmark legislation remains tepid following a month of combative town halls on the subject, according to a Gallup Poll released Tuesday. Just 37 percent of Americans support the pending legislation, which is expected to be picked up again as Congress returns to session Tuesday following a month-long recess. A slightly larger number — 39 percent — want their congressmen to vote against the bill, the poll found. So what’s the problem with proudly declaring that Governor Palin is right? There shouldn’t be one. Now, if there is one issue that has caused anklebiters to rant and rave, it’s Governor Palin’s faith. In fact, I have said repeatedly that those who harbor the most intense hatred for her very often reveal the true cause of that hatred if you listen to them long enough: They take issue with the fact that she is an unashamed born again Christian who lives that out by walking the walk rather than just talking the talk. This, above all, truly grates on those on the far Left who show gross disrespect for anyone who would dare confess faith in a Creator, who would dare reject the theory of evolution as anything but a theory, but instead acknowledge God’s hand all over creation. In this, have we uncovered the reason for a public school teacher to hide her love for Sarah Palin? I mean, only a handful of religious idiots take the stand that the governor has taken, right? Wrong! 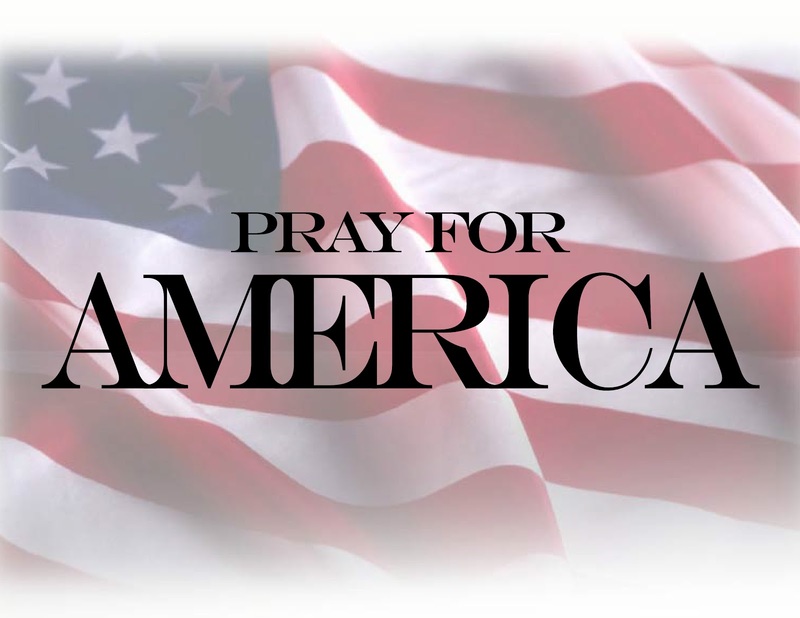 An article titled “Evolutionists Lament That Americans Still Believe in God” tells where Americans stand. So why did Katie Couric attempt to use the evolution debate against Governor Palin? Would she have us believe that the vast majority of Americans believe something other than Governor Palin, who did say, by the way, that she was not opposed to evolution being taught in schools? We’re not buying it, for once again most Americans side with the governor in their faith in a Creator. I have never believed that truth must be defined by the number of people who accept it. In fact, often those who stand on the right side of wrong stand alone. However, there has clearly been a attempt to make it appear that Governor Palin is way out in left field and so far removed from American values and ideals. That’s a flat-out lie. 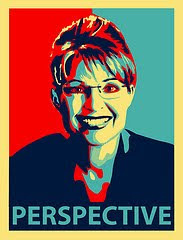 America is more like Governor Palin than we are like the Katie Courics and MSNBC’s of this world. The fact that even one person would feel she must almost lip sync the phrase, “I love Sarah, too” is enough to make one laugh outright–if it wasn’t so sad. There is an agenda to force or, at the very least, silence the many into submission to the few. We must not allow that to happen. True, there’s a sense of safety that comes from hiding and not being the subject of attack, but as they attack Governor Palin, they’re attacking Americans, and we are Americans. It’s time to come out of hiding. Too much is at stake. In a blog post called, “They’re Coming for YOU!” I pointed out that your hiding will cost you dearly. The radical factions who espouse an anti-God, anti-family, and anti-freedom agenda are coming for you. Yes, you. So you’d better determine where you stand, and you’d better make that determination now. The attacks on conservatives–particularly Christian conservatives–are constant, calculated, and cold-blooded. And they’re only going to intensify. You better believe that attacks on people like Sarah and Willow Palin and Carrie Prejean are not isolated, rare incidences. The heat will be turned up. The question is: Will you feel it? The answer depends on you. You’ll feel it only if you’re in the kitchen. In other words, only if you’re a threat, only if you’re engaged in the fight. As long as you sit and do nothing, don’t worry; you’re safe. But that inactivity comes at a great price. Read that entire post here, and then stand up–loudly.